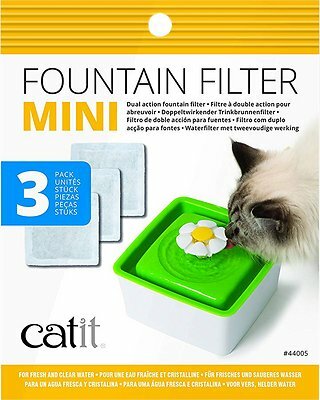 Go with the flow and keep the water in your pet fountain fresh with the Triple Action filter from Catit. 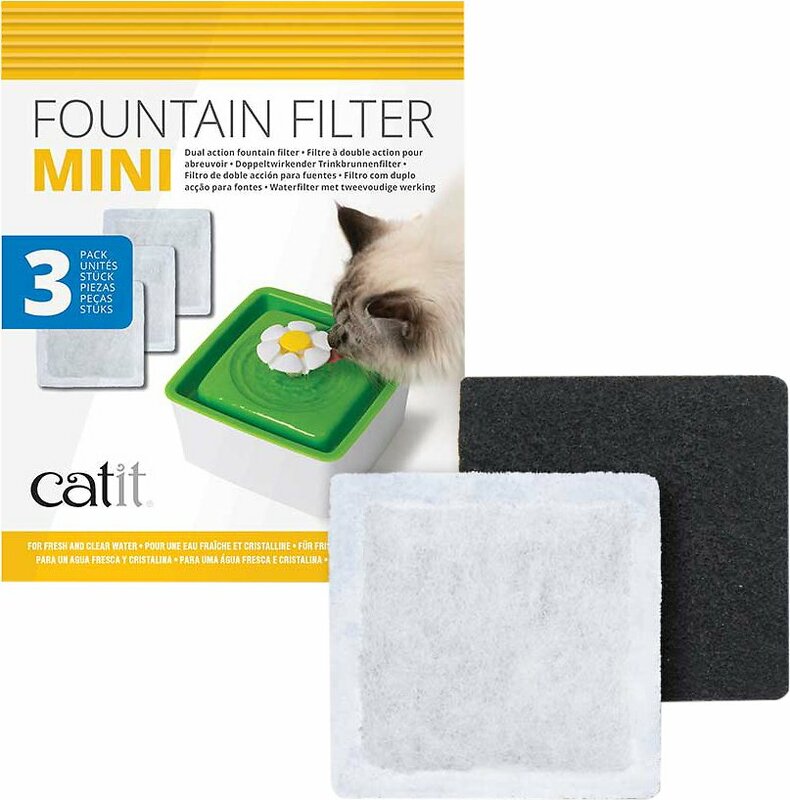 These filters are specifically designed for Catit's mini pet fountain, and work to remove bacteria and chlorine odors while filtering out debris—so your pets aren't served a side of dust, dirt or hair with their beverage. And they help to soften materials found in tap water, like magnesium and calcium, to help prevent urinary tract diseases and infections. So, your kitty's water is always clean, tasty and safe to drink! Designed specifically for mini Catit drinking fountains, these filters filter the unappetizing odors of chlorine and bacteria. Prevents debris like dust, dirt and hair from winding up in your cat's stream—so she has a cleaner, yummier water flow. Ion resin softens tap water, removing magnesium and calcium, to help prevent urinary issues. Multiple filters come per-pack, giving pet parents a better, longer-lasting value. Clean, odorless and tasty water may help entice fussy drinkers to stay hydrated. 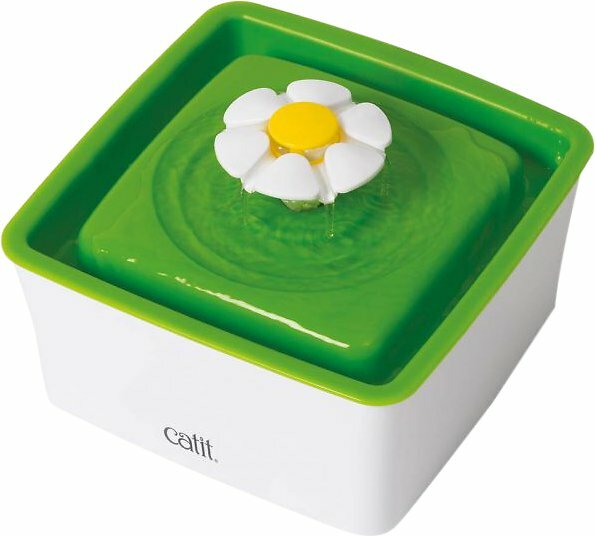 Designed to fit the Catit Flower Mini Pet Fountain. Love the water dish. My kitty is 10 years old and I used to turn on water in bathtub for her. It's taking some time for her to get used to it. But saving me $$ as I would forget to turn off tub sometimes. So glad these work in my whisker kitty corner fountain! Reasonable and work great! Keeps water fresh and pure. Only the best for our baby. Thanks Chewy! I love it! My cat would not drink from anything but used to drink from a vase with flowers once in a while ! She was always dehydrated ! It took her a couple weeks to learn how to use it but she loves it now! Thank you! Too small for my fountain although it was advertised for it.